The Caliphate Cyber Army Hackers Publish 55 New Jersey Police Officers personal information. I reside in the State of New Jersey, this information is very disturbing. Can we have the Election now b/c our Country is on life support with the current administration. God Bless our law enforcement. 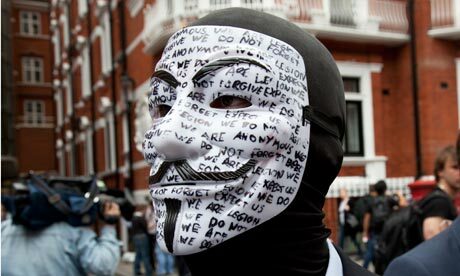 Anonymous attacks UK government websites to protest Assange-case. Hackers have targeted British government websites in the last 24 hours, the government said on Tuesday, after activist hacking group Anonymous said it had launched attacks to protest against the handling of the case of WikiLeaks‘ founder Julian Assange. All the websites appeared to be functioning normally on Tuesday. Anonymous, a loose-knit group of international hackers, suggested it was behind the attacks which it linked to the Assange case. Downing Street was dismissive of the incident.